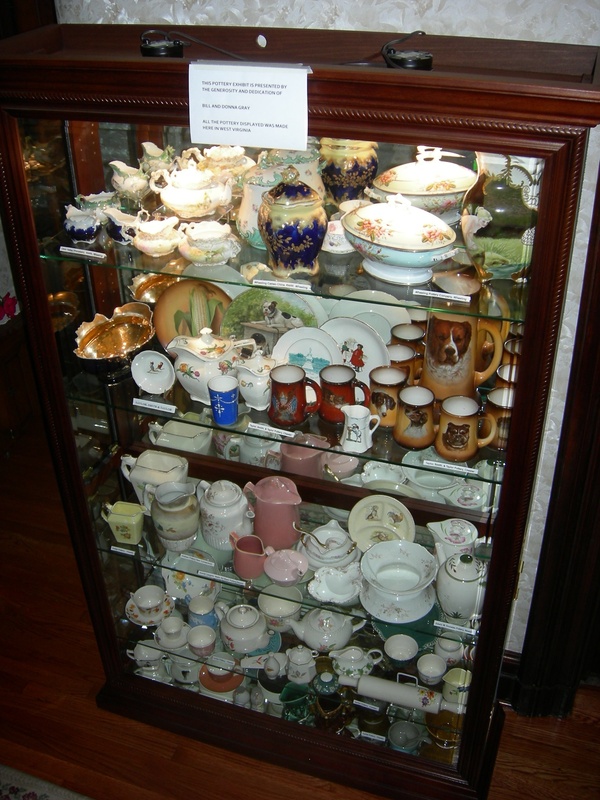 Bill and Donna Gray of East Liverpool, OH are famous for having an extensive pottery collection. They have loaned the museum items from local pottery manufacturers such as Chelsea China Co. from New Cumberland, Homer Laughlin China Co. from Newell, Wheeling Pottery Co. from Wheeling, Edwin M. Knowles China Co. from Chester, and Taylor, Smith & Taylor Co. from Chester. 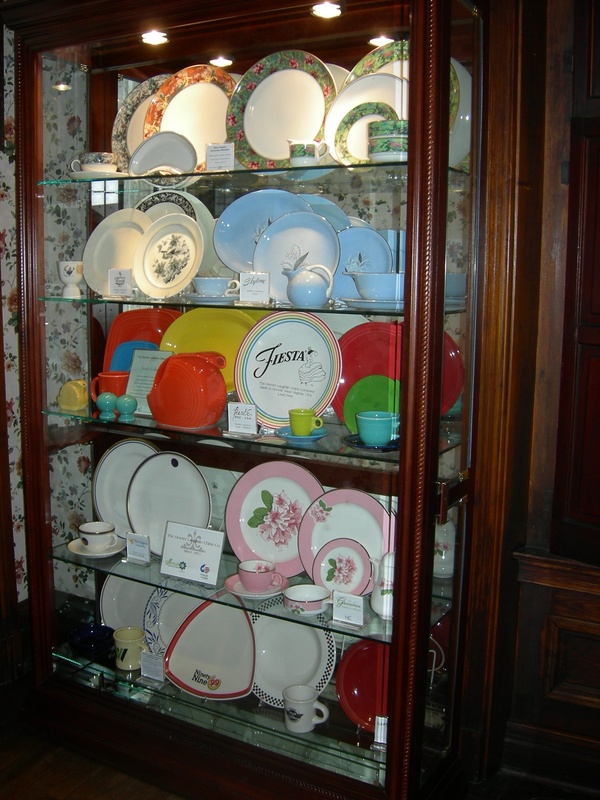 The Homer Laughlin China Co. loaned the museum dinnerware including examples of the WV Governor’s Mansion Four Seasons collection, and examples of Fiesta, Custom Hotel China, Eggshell and Skytone. These can be viewed on Sundays in September from 1-4 p.m. or by appointment at any time by calling 304-564-4800 or 304-224-1605.